Has your Hot Water Heater started to leak water at the bottom of the tank? Is rusty water leaking from the electrical cover at the bottom of the system? Has you Hot Water Unit started to smell badly? 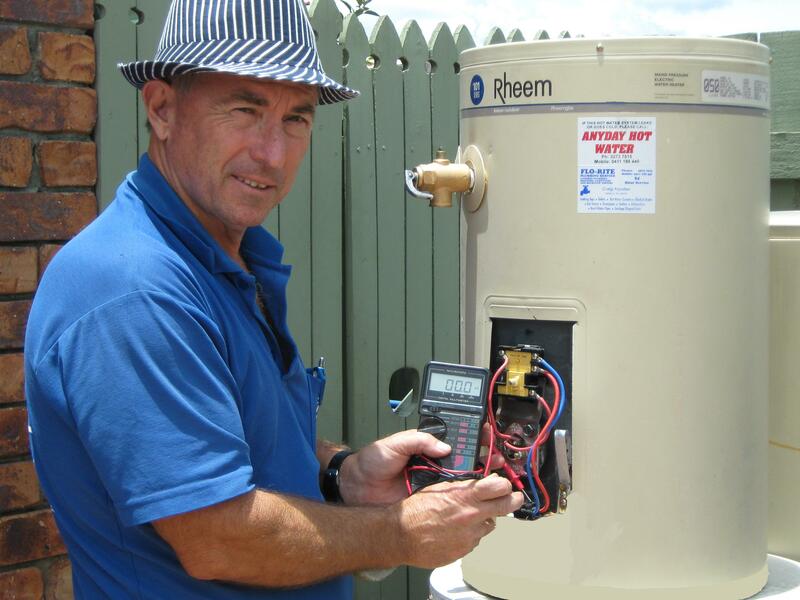 Is your Hot Water Tank leaking from the overflow valve? Is the temperature of the hot water fluctuating? It could be a faulty hot water Thermostat problem. element fails, often the first you know about is when you have no hot water. next morning after getting the element replaced to get any hot water. stop the family screaming about cold showers. is depleted, this can result in increased corrosion of the element sheath. and give a shorter life. of the reset button, contact Flo-Rite Plumbing to replace your thermostat. Our service vehicles are fully equipped to repair or replace hot water elements and thermostats to all major brand Hot Water Systems, Hot Water Heaters, Hot Water Tanks and Hot Water Units including brands like Rheem - Vulcan - Dux - Aquamax - Saxon - Quantum - Conergy - Zip Boiling Water - Beasley - Supakwik and more. Best of all we guarantee quality service at competitive prices. Turn to us for free advice and quotations and receive prompt attention from our experienced and qualified staff.